A legend of the stage and screen, singer-songwriter Kris Kristofferson returns to The Lyric for another intimate performance, joined by special guest members of the Merle Haggard band. The 3-time Grammy award-winning performer will perform songs from his lengthy career as well as some of his newest compositions off The Cedar Creek Sessions album released in 2016. From “Me and Bobby McGee” to “For the Good Times,” Kristofferson has topped the charts since he began recording in the 1970s. 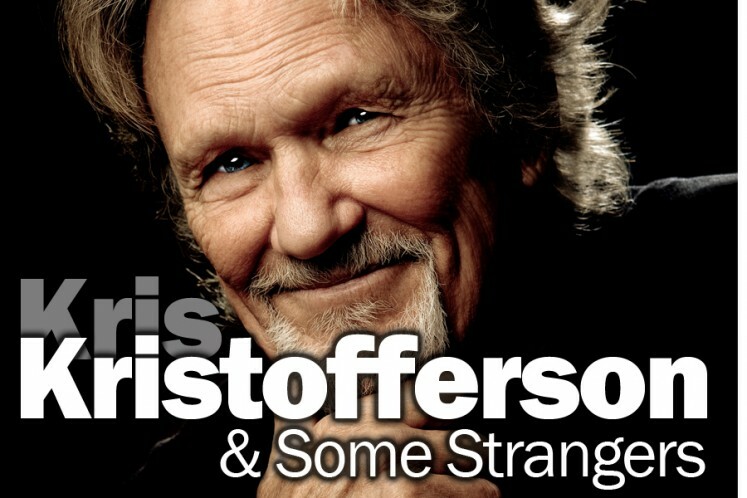 Kris Kristofferson was born in Texas to a military family. A man of many talents, the young Kristofferson was a Golden Gloves boxer while also studying creative writing at Pomona College in California. After traveling to England to study literature at Oxford University on a Rhodes scholarship, Kris returned to the United States to serve as an Airborne Ranger in the U.S. Army, where he eventually achieved the rank of Captain. Despite his success in the military, Kristofferson turned down an assignment to teach at the prestigious West Point Academy and instead moved to Nashville to pursue his love of music. The aspiring musician was influenced by the sounds of Johnny Cash and Willie Nelson, and by the 1970s, he began to achieve success as a country songwriter. With hits like “Help Me Make It Through the Night” and “Sunday Morning Coming Down,” Kris Kristofferson become an overnight sensation. By 1987, it’s estimated that more than 450 artists had recorded his compositions. In addition to his success as a singer-songwriter, Kristofferson has acted in more than 70 films throughout his career. In 1977, Kris won a Golden Globe for Best Actor in the film A Star is Born. With films like the Blade trilogy, Lone Star, The Jacket, and Dolphin Tale, the award-winning actor has demonstrated his emotional depth in his acting as well as his songwriting.